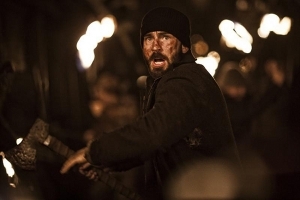 SNOWPIERCER Trailer Blows in from the Cold! Bong Joon-ho's English debut Snowpiercer has been on our radar for years and here, finally, is our first look at some final footage in the form of a pretty spectacular first trailer. Snowpiercer is based on the popular French sci-fi graphic novel Le Transperceneige, in which humanityâ€™s attempt to stop global warming backfires, triggering an ice age killing nearly all of humanity. The remaining humans live on an enormous train (the Snowpiercer) with 1001 carriages and a perpetual motion engine. Societyâ€™s class system is based on a hierarchy of how close your carriage is to the engine. Poverty and violence overtakes the end of train, and a revolution is brewing. The films stars Chris Evans, John Hurt, Tilda Swinton and Jamie Bell.